The Department for International Trade (DIT) has launched a tender to carry out a discovery, alpha and beta to create a tool to help the UK track its progress in raising its export share from 30% to 35% of GDP. The project, outlined on the Digital Marketplace, has a value between £616,000 and £792,000, with an expected contract length of 26 weeks with an option to extend for six weeks. 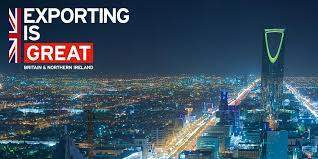 Summarising the work, the DIT said, “To strengthen our position as one of the 21st century’s great trading nations, DIT require a supplier to conduct Discovery – Beta for an Export Project Management tool. The DIT said it already has a similar tool for Investment on its in-house customer relationship management system, Data Hub. It envisages reusing this functionality and other Data Hub functionality wherever possible. The tool export project management tool is expected to sit on the Data Hub platform. The users of the service will be internal DIT staff and some other delivery partners, based in nine English regions, devolved administrations and across 108 countries around the world (mainly in embassies and consulates). A civil servant product manager from the DIT will lead the team and be the single point of contact for the successful supplier. Civil Servant staff may also be placed to work within the team or alongside the team and the supplier will be expected to support their development by transferring knowledge and expertise to these individuals. Discovery is expected to last four weeks with an option to extend for two weeks. The deadline for asking questions about the opportunity is October 11, with a closing date for applications of a week later. The work, to take place at Windsor House in Victoria Street in London, is set to start on November 26.